Will my Lender Accept my Utah Short Sale? Utah Short Sale Scammers are out there! Be Careful! 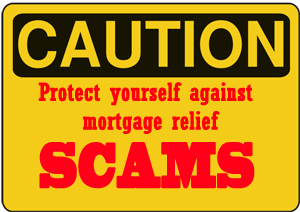 Short sale scams are rising now that there has been a crack down on loan modification scams. Crooks know when you are in need of solutions and are glad to take advantage of you when you are down. They will target anyone who is in need of a short sale or mortgage relief. There are dozens of ways you can be taken advantage of. The newest Utah short sale scam is illegally flipping a home. An example would be an agent agrees to market a house for $200,000 when a property is worth $225,000. The bank accepts an offer of $200,000, however what the bank does not know is that there is another higher offer of $225,000. The investor who offered $200,000 then sells the property for $225,000 to the undisclosed buyer. The transactions are usually closed on the same day and no money from the original investor is ever even put through escrow. When the loan closes the $25,000 profit is divided up. The homeowner is scammed as they may have been able to pay off the bank completely and avoid the negative credit impact. If the homeowner was involved sometimes they are unaware that this is considered fraud and may face penalties and possibly prison. #1 The Specialist: This scams involves a “foreclosure specialist” who charges an upfront fee and will give false promises of stopping foreclosure. Often they take your money, claim they tried to help you when in reality very little effort was made. #2 Lease/buyback program: This is done when the scam artist convinces the homeowner to deed the property over to the scammer with the promise to lease the property to them and allow them to buy the property back. The scam artist then takes house and any remaining equity. #3 Bait-and-Switch: The scam artist claims to have a solution to your mortgage problems. They will then trick the homeowner into signing a document that has not been completely filled out. Unknowingly the homeowner has signed over the deed to his property. Always be cautious when someone is promising something that sounds too good to be true. Never pay any upfront money for short sale or foreclosure services. Do not agree to any surcharges. Be cautious and don’t agree to any “House Flipping”. Always use an experienced agent that has an CDPE designation. Some agents are not even aware they are committing fraud. Earth Day is over, but these are some great ideas to go green all year long! Buying a home for the first time can seem like a time-consuming process. This article gives a general breakdown of what you can expect time-wise when purchasing a home. How Long Does It Take to Buy a House? Lacking the time or the funds to take a vacation? A "staycation" may be just what you need! 16 Things To Do On A "Staycation"